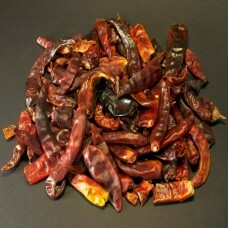 Info: Originally from Cayenne in French Guiana, this is now regarded as the typical chilli used to heat up any curry. Huge quantities of it are grown throughout India but it does the trick every time. Wherever you see 'chilli powder' in a recipe, use this one. Also can be used alongside other chillies to greater depth of flavour. This annuum is believed to have great medicinal properties, perhaps due to its high vitamin A content, but research is showing it to have a use in warding off heart attack and we have customers who use it because they say it helps their MS. But if nothing else, it makes a great curry! Fajita Spice Blend HEAT: 5/10 Weight: 50g Fajitas are a family favourite fo..